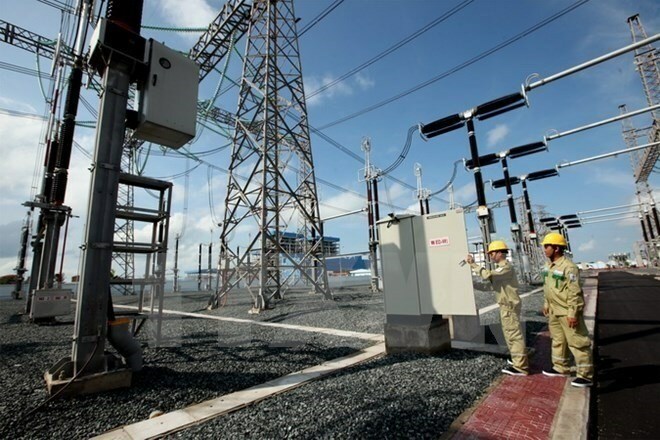 Hanoi (VNS/VNA) –The PetroVietnam Power Corporation (PV Power), the country’s second-biggest power provider, will offer 20 percent of its total shares for sale at an initial public offering (IPO) in December. The member company of the Vietnam Oil and Gas Group (PVN) will also sell 29 percent of its capital to strategic investors. Under a previous IPO plan published in April, the company said it would sell 4 percent of shares at the IPO and 45 percent to strategic investors to receive 600-700 million USD. The previous plan also stated that the IPO would be conducted in August 2017 and the private offering for strategic investors would be completed this year. The company also expected to raise its ratio of shares for sale up to 60 percent if approved by the Government. PV Power has constantly re-scheduled its IPO plan. In June 2016, the company planned to hold its IPO in October the same year and unload a quarter of the State’s ownership. According to HCM City Securities Corporation, the company’s decision to raise the number of shares for IPO sale could stem from the fact that State-owned businesses have failed to offload all the shares they offered to strategic investors. Individual investors were far more interested in IPO shares and the number of their placed orders exceeded the number of shares offered by the companies. According to analysts, there are several reasons that have made State-owned company IPOs unattractive to strategic investors. First, those companies conducted their IPOs when market demand was not high, leading to low purchases of their shares. Second, institutional investors were hesitant to purchase shares in those companies because the Government still held the controlling stake in the businesses after it was equitised. In addition, the auction prices offered at the IPOs did not match investor expectations while the management boards of some firms were afraid of becoming transparent and accountable. In the latest IPO plan, posted on the company’s website last week, PV Power had 21.7 trillion VND in charter capital and was valued at 60.6 trillion VND on December 31, 2015. PV Power is currently the second-biggest power provider in Vietnam, supplying 12 percent of the country’s total electricity production with seven power plants producing total output of 4.2 gigawatts. The company last year produced 21,156 billion kWh, earning 26.5 trillion VND in revenue and 1.6 trillion VND in post-tax profit.